For people who are always on the go, looking to explore, or simply want to spend a day at the beach. Cooler boxes can be a great assist to them. It is not wrong to state that the best things in life come in small coolers. 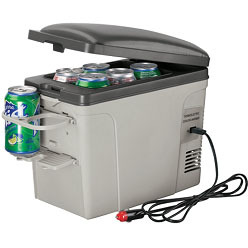 Fresh fruits, canned beers, soft drinks, ice creams or ice cubes can be kept in these coolers. A variety of mini coolers is available for you to buy. They come in different sizes and colors, with different features. Giftwrap presents you with travel cooler/warmer and iceberg cooler box. Travel cooler/warmer as the name suggests can be used for both heating and cooling purposes. It can hold up to 9 cans in it and has two exterior cup holders. This versatile travel cooler/warmer can be used throughout the year as per your needs; it comes with a power supply and multiple power supply options. It can be used as wall-fitting or car adaptor. 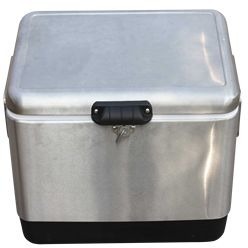 Iceberg cooler is made of stainless steel that makes it more durable. Its interior is made of PP plastic that helps to keep things cool for a longer period. Thinking of making a tour, make sure you take this portable cooler with you to ease things for you.